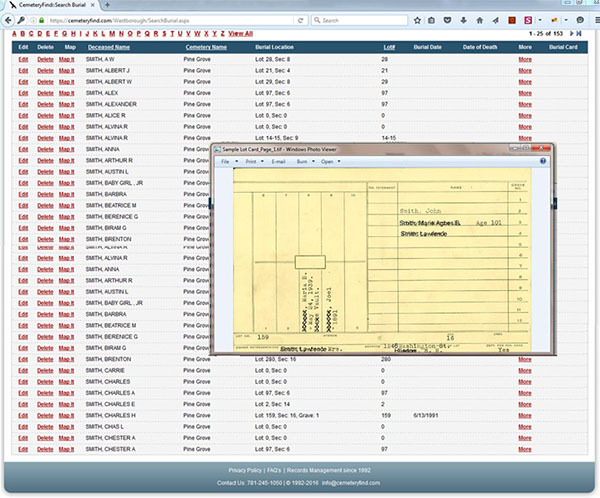 Scanning is often the first step in computerizing cemetery records. We understand the importance of your cemetery records. 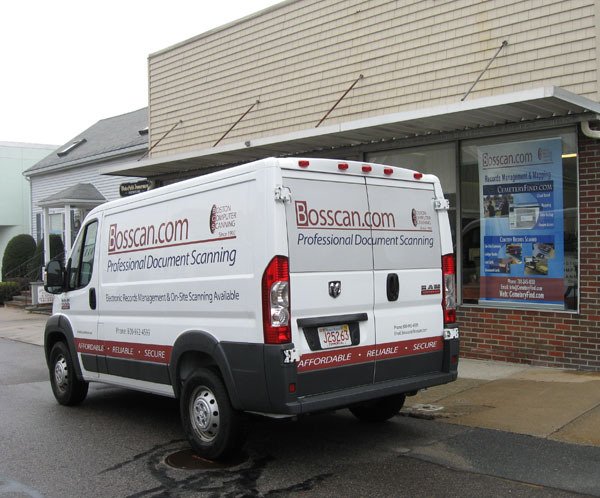 Bosscan.com provides safe and secure professional scanning. We will un-staple, un-fold, scan high quality color images, re-staple, re-fold every piece of paper and place them back in drawers in original order and condition. 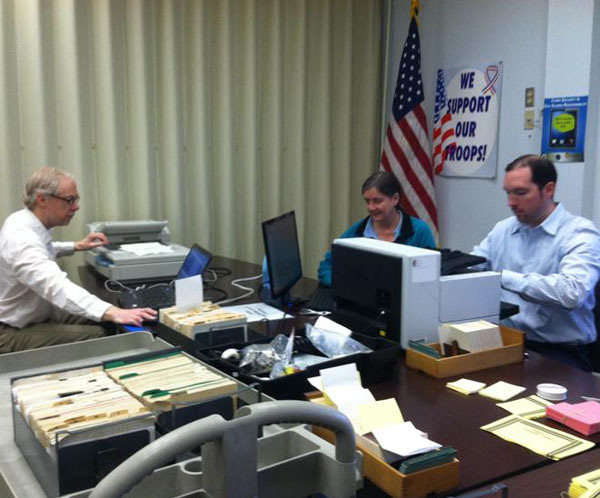 Our mobile scanning team is equipped to scan at any cemetery, anywhere in the U.S. Scanning typically includes burial cards, lot cards, ledger books, deeds, notes and maps. Old, fragile, delicate documents & maps are our specialty. Call today at 800-992-4599 or 781-245-1050 to see if our services are right for your cemetery. You will find us knowledgeable and easy to work with. No two cemeteries are alike. That’s why CemeteryFind is customized for your cemetery’s specific needs. An easy-to-use search database includes scanned paper records linked to each burial and lot record. Create new burials and lot sales and record veteran status. Public search option allows for an easy and convenient way for the public to locate only the information you want them to see. Advanced mapping directs people from cemetery entrance to selected lot. 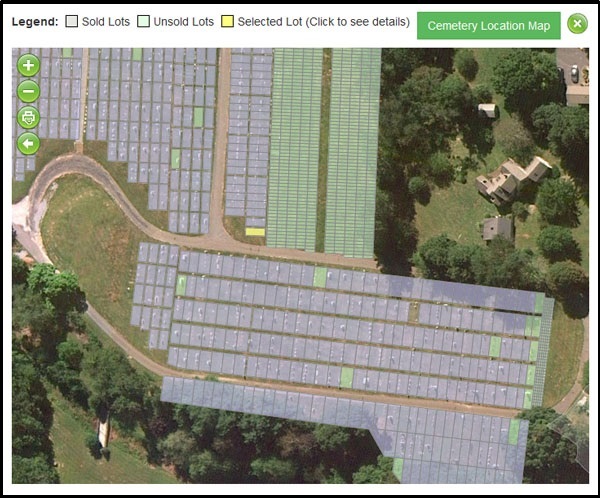 Simply select a burial from the database and click “map-it”. Works on smart phones, tablets and PC’s. Affordable and easy to use. Call today at 800-992-4599 or 781-245-1050 to see if our services are right for your cemetery. You will find us knowledgeable and easy to work with.